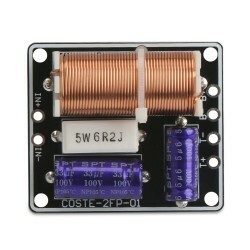 It is a 150W 2 Way Bass Tweeter Audio Frequency Divider, Impedance: 4~8 ohms, Frequency point: 32.. 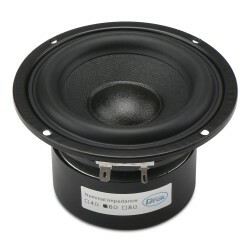 It is a Hi-Fi Subwoofer Speaker Bass Loudspeaker/Audio Speaker, Loudspeaker outer diameter: 105mm.. It is a 1.5 inch 6 ohms 10W Silk film Grade Tweeter Loudspeaker/HIFI Speaker Drive Unit, Sensitivity: 89db, Frequency Range: 1.7KHZ ~ 20KHZ, Applications: home audio-visual appliances, multimedia speakers, mini speakers, DIY speakers, bookshelf speakers, 5.1 speakers, home theater speakers. 1.5 inches 20 lamp pith tweeter with lovely and crisp melody. 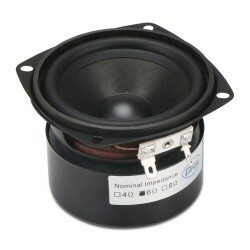 Suitable for home audio-visual appliances, DIY speakers. 40mm panel is made of high-grade Nd Fe B magnetic; adopted original Japan imported silk membrane which has a high resolution.